This was the line to get into the Golden Goose Thrift Store. 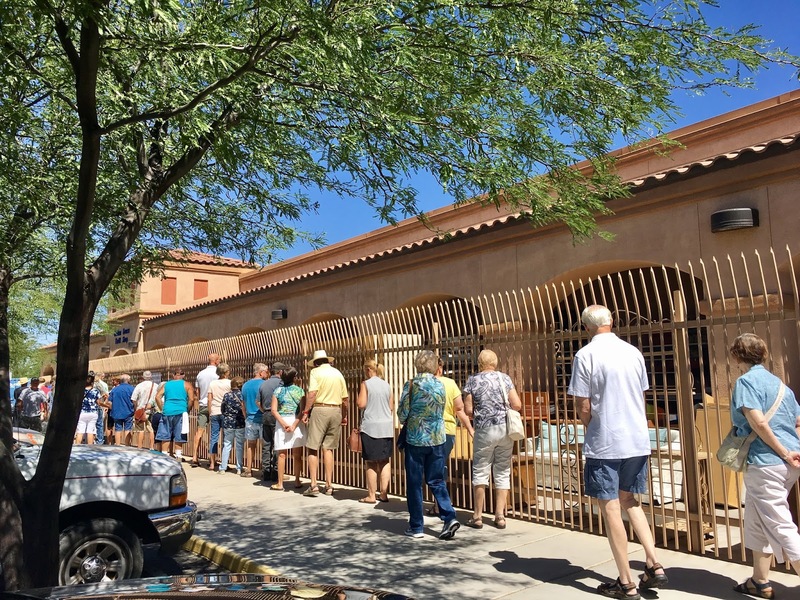 People LINED UP to get into a thrift store. I've never seen anything like it. It was like a concert. This store usually has pretty good finds so clearly the trick is to get there early but I've only ever visited after opening. The line moved quickly as the old people pushed each other down to get the first look at the newest items. I have my fingers crossed for some good deals.